The boy is now at the age that we are beginning to consider sleep-overs with friends. I must confess that I am a little bit nervous about it, more so than him. He has only ever stayed with his grandparents without us previously, which are totally familiar surroundings. I worry that he will wake in the night and not know where he is, I dread the thought of him wanting me, or Daddy, and not being able to find us. Oh why do they have to grow up? I have decided that before we embark on his first proper night away from us to let him get a little familiar with his sleeping situation and Worlds Apart were kind enough to send me a junior ReadyBed for him to try out. 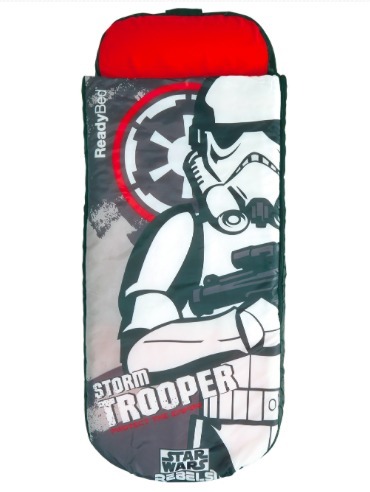 They have some really cute Spiderman and Peppa Pig designs but we opted for Star Wars. The ReadyBed comes with it’s own foot pump and, once inflated, it is surprisingly comfy. The cover is removable and machine washable at 30° and it even has it’s own, integrated bag, making it extremely portable. 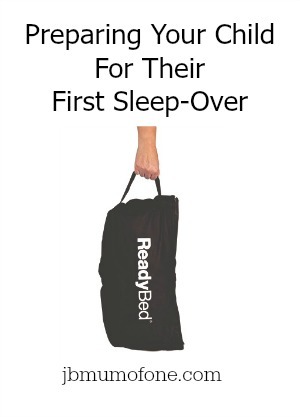 I am tempted to buy a few more as these will make a great solution for when his cousins and friends come to stay, and will be ideal for camping trips. We have decided to let him try it out for a few nights at home and then he will at least have something quite familiar with him. Here he is camping out next to his sister. I am still in a panic. So, there you have it. Some top tips on preparing your child for their first sleep-over. Now, can someone prepare me? 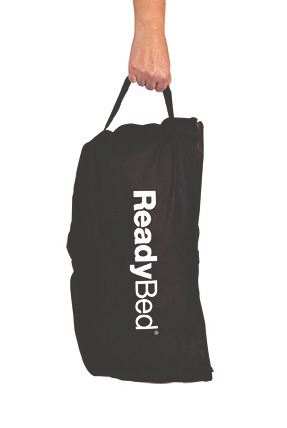 Worlds Apart were kind enough to send us the ReadyBed featured free of charge for the purpose of review. All opinions are my own and 100% honest. oh i am loving this Jenny! An inflatable thingy? Pfff, I was camping out in the freezing cold back in the day. Great tips. We are having a sleepover tonight – but we are the hosts. 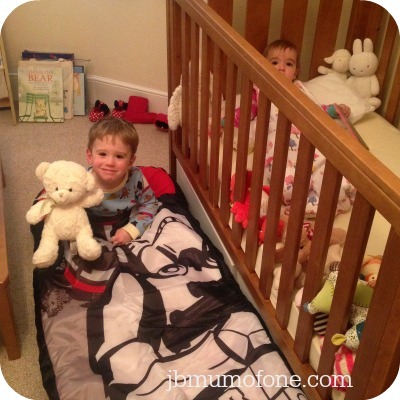 The new Star Wars Readybed is fab and we love ours. oh ready beds are fab we have one ready for our summer trip to Spain. That ReadyBed looks great – we’re going camping in July, so might have to think about one for that. Eek! I’m not sure that I’m ready to think about sleepovers yet, but in a year or two this sounds like it will be perfect. And perhaps also good to have one stashed at home in case of unexpected visitors!